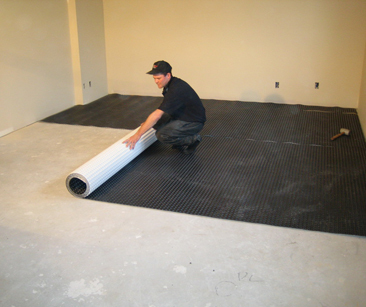 Carpet & Laminate Subfloor Membrane is a moisture barrier and thermal break membrane with a unique double dimple design. 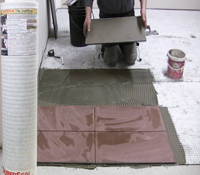 It's perfect for all carpet or wood floor installations. 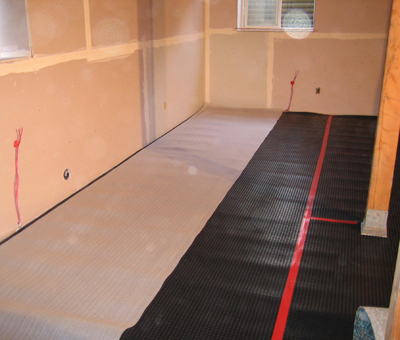 All-In-One is a moisture barrier and thermal break subfloor membrane. It's economically priced in consumer friendly roll sizes. Out of stock, use Carpet & Lamainate Subfloor.